From Norway with hate. 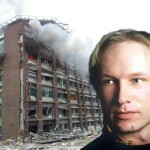 Why was Breivik depicted as a Christian fundamentalist? Cardinal Kurt Koch, president of the Pontifical Council for Christian Unity, went to an official visit to Norway to take «the solidarity of the Catholic Church and the solidarity of the Holy Father, in particular, to Norway at this tragic time, along with greetings for the great Feast of St Olaf, which was celebrated yesterday». And the Pope sent a condolences message to the Norway’s King Harald. «At this time of national grief – the Pope wrote – I pray that all Norwegians will be spiritually united in a determined resolve to reject the ways of hatred and conflict and to work together fearlessly in shaping a future of mutual respect, solidarity and freedom for coming generations». But after the terroristic attacks to Norway, even the Catholic Church can feel a little more under attack. Because Anders Reivik – the author of the terror attack in Norway that caused more than 80 death people – has been initially described by the press as a Christian fundamentalist. 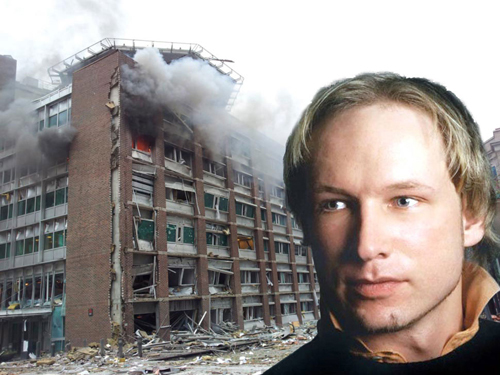 Breivik was – according to the first reports – a Christian obsessed by the Islamic world and by multiculturalism. It was just like every right-nationalist is more likely to any other to have Christian roots, or like being Christian fundamentalists is the only way to be ferociously anti-islamic. Recently, this have become a common reading of the facts. In Finland, Timo Soini, a Christian nationalist, had been accused of xenophobia. In Hungary, the new Constitution has been founded on Christian roots, and had been accused of homophobia, xenophobia and backwardness. In the Usa, David Limbaugh highlighted how the two most powerful molders of opinion in the nation, the media and Hollywood, are at the head of the line in the war on Christianity, frequently ridiculing and disparaging Christians in ways they would never dream of employing against any other group of Americans. David Limbaugh writes: «This anti-Christian bias manifests itself in unflattering portrayals of Christians in Hollywood films and entertainment television, and also in the demonization of Christian conservatives in the media». And there are academics who are sharpening their swords and taking the usual swings at orthodox forms of religion. Whatever comes out about Ander Breivik, one thing is certain. He is far more complex than a common «Christian Fundamentalist». He was a Freemason and a Knight Templar, and immensely proud to be it. The average Christian Fundamentalist is usually anti-Masonic, while Protestant Fundamentalists generally regard Freemasonry as occult and Pagan in nature, in essence very anti-Christian. The Catholic Church forbids all its members from becoming Freemasons under pain of excommunication. The Protestant Fundamentalist position is – on the other hand – absolute and militant, by claiming that «Christians cannot be masons». Given the general position of Christian Fundamentalists on this issue, and given the fact that Breivik listed Freemasonry as an «interest» on his Facebook page up to the day of the massacre, it is virtually impossible for him to truly be a «Christian Fundamentalist». In fact, Breivik was baptized into the state-run liberal Protestant Church (Lutheran Church of Norway), but later became disillusioned with the way in which Liberal Protestantism has sacrificed much of its historic Christian character. He once blogged: «Today’s Protestant church is a joke. Priests in jeans who march for Palestine and churches that look like minimalist shopping centres. I am a supporter of an indirect collective conversion of the Protestant church back to the Catholic». Breivik (a political Zionist) obviously had little knowledge of Catholicism, for if he did, he would have known that one of the biggest Christian supporters of a Palestinian State is none other than the Catholic Church. But he was baptized «by his own free will» – as he said – probably in order to be accepted into the Norwegian Order of Freemasons (Norwegian: Den Norske Frimurerorden), is the Masonic Grand Lodge in Norway. The first lodge (St. Olai Lodge – Later changed to Lodge St. Olaus to the white Leopard) was opened in 1749 and is still working. The Grand Lodge has followed the Swedish Rite since 1818, which requires its members to adhere to Christianity. During the union of Sweden-Norway, the Swedish-Norwegian king was Grand Master of the Order. The sovereign Grand Lodge of Norway was consecrated in 1891. As of 2009, the Order has about 20,000 members. In light of his membership in the Masonic Lodge however, Breivik could not be a Catholic, for that would require breaking membership with the Lodge prior to reception into the Catholic Church. More likely, Breivik was lamenting the loss of historic Christian culture, which according to his manifesto he saw on par with historic Nordic Pagan culture. The parallels between Anders Breivik and Timothy McVeigh (Oklahoma City Terrorist) are starting to surface in the most startling way. According to Breivik’s manifesto he was originally a Liberal Protestant, but later lost his Christian faith, doubted the existence of God, and praised the evolutionary theories of Charles Darwin. McVeigh in comparison, was raised a Roman Catholic, but later lost his Christian faith, believed in an impersonal and naturalistic deity, declaring that his «only god is science». Reading the 1,500 pages manifest of the terrorist, one can understand that Reivik was obsessed with the idea that the political advance of Islam and the multiculturalism of the left have combined to make victims out of traditional European Culture. It is from that overaching framework that many of the rest of his ideas can be understood. On this basis, Reivik Action can be compared to London 7/7 attack. Actually, the roots of the two attack were the same. «The multiculturalism’s celebration – Brendan O’Neill wrote – of identity over solidarity, its promotion of the politics of self-pity and victimhood, of a perception that minority identities are continually under threat from the post-colonial and xenophobic attitudes of both society’s rulers and its native masses, found its most fanatical expression in the London bombings. In the bombers’ extraordinary levels of self-pity, combined with their arrogant belief that their Muslim identity gave them the right to hector the British throng, we got a glimpse of how far the multicultural ethos can be pushed. Breivik, for all his anti-multicultural pretensions, is not that different». In conclusion, Breivik is not Christian, and not Catholic, but a member of Freemasonry. The Freemasonry came out even in reports about the bugging scandal in Great Britain, that seriously damaged the media tycoon Rupert Murdoch’s Reputation. There is a even a malicious link that one could do. A link that would bring to a Third World War forecasted by Albert Pike, 33rd degree Freemason and author on Masonry, in a letter to the Italian Patriot Giuseppe Mazzini - 33rd degree Freemason as well. After planning the first and second World War – occurred as proposed by Pike – there would be a Third World War, «fomented by taking advantage of the differences caused by the ‘agentur’ of the ‘Illuminati’ between the political Zionists and the leaders of Islamic World. The war must be conducted in such a way that Islam (the Moslem Arabic World) and political Zionism mutually destroy each other. Meanwhile the other nations, once more divided on this issue will be constrained to fight to the point of complete physical, moral, spiritual and economical exhaustion». Science fiction? Maybe. Actually, the Catholic Church must not face only enemies coming from outside, because the cancer is also inside the Church – as the Pope underlined in his visit to Fatima the last year. There is the need – Benedict XVI also claimed several times – for a inner purification of the Church. But the attack from the outside is strong and well structured. And Benedict XVI in the last message for the World Day of Peace affirmed that Christians are the most persecuted confession in the world, and it is not only because of the massacre of Christians all over the world – e.g. the recent killings of Christians in India. «I also express – the Pope wrote – my hope that in the West, and especially in Europe, there will be an end to hostility and prejudice against Christians because they are resolved to orient their lives in a way consistent with the values and principles expressed in the Gospel». The Pope also urged Europe to reconcile to its Christian roots, «which are fundamental for understanding its past, present and future role in history». 5 Responses to From Norway with hate. Why was Breivik depicted as a Christian fundamentalist? Do you have no position regarding SSPX’s struggle to restore doctrinal tradition to the Church? There are several things I think about SSPX’s struggle. I think that the real matter is not liturgy (the liturgy according to the Ancient Rite had never been forbidden) but the Vatican Council II. That council has several interpretations, and one can summarize them with the hermeneutic of the continuity or the hermeneutic of the rupture. I think that the Council was both, that he broke part of the tradition of the Church, but that he did in continuity with what we call depositum fidei. It would be absurd getting back to before the Council. It would be absurd quitting the dialogue among religions. I find Benedict XVI position very well balanced: we strengthen our identity, we strenghten our liturgy, and from there we start the dialogue. SSPX’s struggle has not a balance. It is just a struggle for restoration. Restoration will not solve the problems of the Church. And innovation will not as well, if one innovates for the innovation’s sake. he simply hated immigrants because they were taking all the low end good things from his people and bringing in crap. immigrants never complain. they never want to change anything in their host country. they always lower the standards of living everywhere they go. he always admired the templars etc.. but i doubt was a fanatic. he may have been raised christian but i doubt he was devoted to any modern church. he noticed that the most harmfull of all immigrants were islams and muslims. he probably thought he had enough indians and jews to contend with. not to mention catholics and orientals. so he decided to do something about it that may start more people who feel the same way he does to fight more against i would say certain races and countries, not religions. who knows? maybe he wasnt stock piling. maybe he meant to use all of it for the farm and maybe he just wanted to try out wow. he may be lying. maybe he hid all his guns because he didnt want to lisence them or maybe he thot they would be taken from him by the law for some reason. he went nuts and decided to kill the immigrant politicians. but he couldnt. so he went and tried to kill all their kids instead. it was easier. i dont think any kind of mental illness caused him to do it. unless he was deeply involved in somekind of group. which he was not. he was alone. i think he just went crazy. his manifest didnt need to be written over a 10 ye period. i could do it in a week. also.. oh yes. catholics are more liberal than christians are for sure. just because the priests have serious vows doesnt mean everyone must. priests and nuns are very respected for their vows. christians are deluded and violent and caths are more peacefull and forgiving. caths suffer more, and christians steal and fight more. christians think of themselves and jesus and caths think of people as a whole. they also have a male and a female they must vow to. caths are however more sexist and racist than christians are.